First, to acquaint you with the Rite Aid EDI/Business-to-Business Program and the compliance requirements as it pertains to vendors supplying our Distribution Centers and/or Stores. Second, is to provide updated contact information and policy pertaining to our EDI program. Rite Aid EDI policies are covered in the Vendor Supply Chain Guide and The Supply Policy Agreement for Generic Pharmaceutical Vendors and specify that all vendors accepting distribution center (DC) purchase orders are required at minimum to support the electronic exchange of all three transactions of the Purchase Orders (850), Advance Ship Notices (856) and Invoice (810) in accordance with EDI policy and procedures. Other transactions are available and exchanged in certain instances only as Rite Aid approves and deems appropriate; such as, the 830, 852 and 820 transactions. All Rite Aid suppliers replenishing our Distribution Centers have access to this information through our secure portal. Direct-store-delivery vendors are required to support invoicing (810) at minimum and other transactions in certain instances only as Rite Aid approves and deems appropriate such as, the 850 and 820 transactions. Please visit our Supplier Portal to obtain additional information and all EDI mapping specifications for the above mentioned transactions. 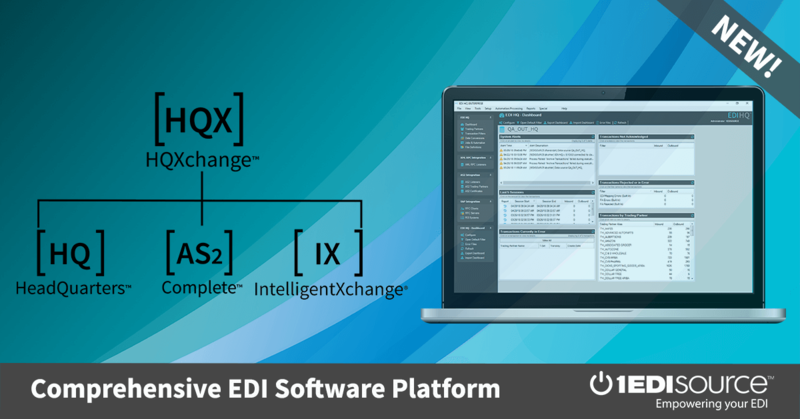 In addition to ‘traditional EDI’, Rite Aid supports many commercially available solutions for enablement to support our trading partners in the electronic exchange of transactions. Each trading partner must evaluate the costs and benefits of the solution that best satisfies their needs. Rite Aid does not assume any costs for trading partner enablement and all are expected to adhere to Rite Aid’s specifications. Solution providers are required to contact Rite Aid prior to testing with any trading partner and identify the trading partner name, along with Rite Aid vendor number and contact information by returning the ‘Trading Partner Profile’ located on our website www.riteaidediservices.com. Once all testing is completed and accepted by Rite Aid, the Trading Partner will be set up to begin trading. Regarding any interruptions of EDI services supporting our Trading Partners that may impact their transaction flow and timing – it is our policy that the service provider will be responsible for any compliance fee resulting and the issue is between the Third Party Service Provider and Client. If you have any questions pertaining to Rite Aid EDI requirements please visit our web sites below or contact us directly. Rite Aid Supplier Portal: Go to www.riteaid.com then select Our Company tab and click on Supplier Portal. Rite Aid EDI Site: With in the Supplier Portal under EDI/B2B Services. In advance, thank you and contact us if you have any questions.